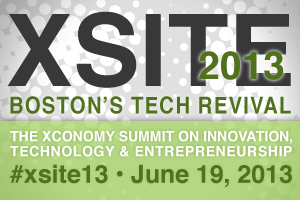 It’s as simple as A, B, C.
All of these companies (and many more) will come together on June 19 at Babson College, for Xconomy’s fifth annual XSITE conference. The theme this year is “Boston’s Tech Revival.” And we want you—readers and leaders interested in the state of innovation and New England’s place in it—to be there and get involved with this rally. —Akamai’s new CEO, co-founder Tom Leighton, will kick things off with a talk about how the tech-business landscape has evolved, and new lessons for innovators across the fields of cloud computing, mobile, video, and security. —Our first plenary panel will feature four pillars of emerging Boston-tech leadership: Bob Brennan, CEO of Veracode (software security); Jean Hammond, co-founder of LearnLaunch (education tech); Dave Balter, CEO of BzzAgent (marketing tech); and Scott Savitz, founder of Shoebuy and Data Point Capital (e-commerce and retail). The goal is to look forward at what the real opportunities and pitfalls are in the tech-business landscape. 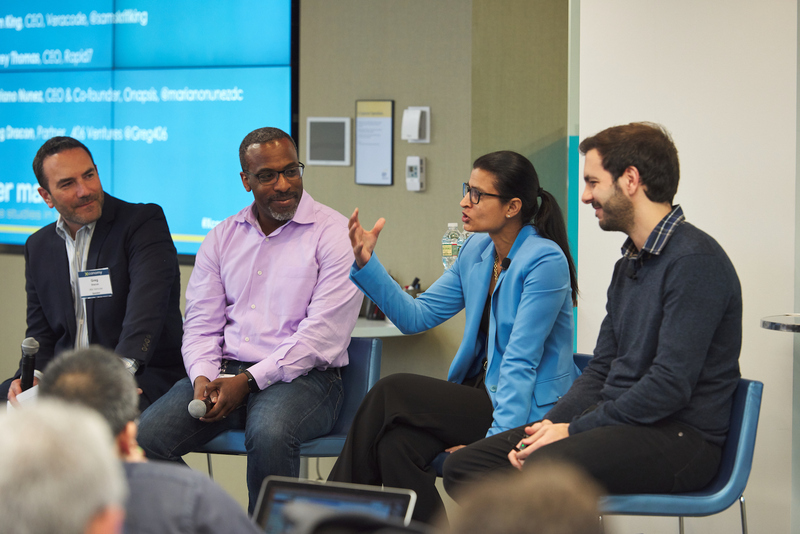 —Our spotlight panel looks at the future of software development, from a mobile perspective. Two titans of the field, Wayne Chang of Crashlytics (acquired by Twitter) and Miguel de Icaza of Xamarin, will share perspectives on where things are headed, and how startups can get a leg up in distribution, design, and developers. —Another key panel looks at lessons learned from top entrepreneurs across different fields of innovation: Roy Rodenstein, CEO of TrueLens (social analytics); David Berry, partner at Flagship Ventures (sustainability and energy); and Ash Ashutosh, CEO of Actifio (data management). —Our breakout panels will be stunningly diverse, with deep dives into software/IT founders’ stories (Diane Hessan from Communispace, Mike Baker from DataXu, and more); healthtech (Jeremy Delinsky of Athenahealth, John Walsh of CareCloud, and Chris Boyce of Virgin HealthMiles); and hardware/manufacturing (VC Axel Bichara, former Solidworks CEO John McEleney, Scott Miller of Dragon Innovation, Ben Einstein of Bolt, and robotics expert Martin Buehler from Vecna, previously with iRobot and Boston Dynamics). —The afternoon’s plenary session will include an MIT Blackjack reunion panel, with lessons for entrepreneurs, and our annual startup “Xpo” featuring the area’s most intriguing seed-stage companies. All in all, it’s going to be a jam-packed and super-exciting day of innovation lessons and networking with top people. I hope we come up with some concrete ways to work together and think realistically about Boston’s future—in other words, we can own it. We are expecting a very full house, but you can still register here. We’ll have the full agenda very soon. See you all on June 19.